The Slippery Slope is a new interactive board game designed to help players open up and deal with their emotions and feelings that are associated with the grief they feel when separated, going through a divorce or living through the aftermath of a single parent family. 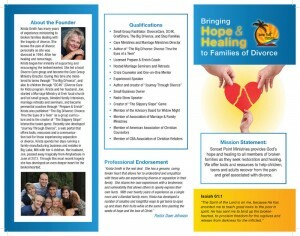 This is a great tool to be used along with your Divorce Recovery groups or as a parenting tool in your own home. The Slippery Slope game will help you guide your kids through the emotional process of grief while sharing the grace, forgiveness, and love of Christ. Whether in a group or as a family, start your healing today. For more information, visit www.sonsetpointministries.com/SlipperySlope.